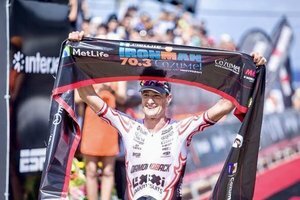 On a very hot and humid Sunday 30thSeptember 2018, on the beautiful Mexican Island of Cozumel, Michi Weiss grabbed his fourth outright Ironman win of the year, posting the day’s fastest bike and run splits in the process. Having won the full Ironman here, which incorporates much of the 70.3 course, on three previous occasions, it is clear that the warm, crystal clear ocean swim, pan flat superfast bike course and hot but flat running conditions seem to suit Michi’s style of racing rather well. 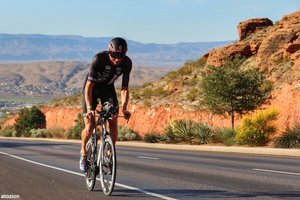 In this article I will unpack Michi’s race winning SRM power file and explain a little bit how we use it to dial in his race winning form. 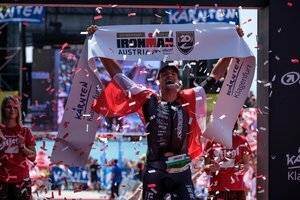 Michi Weiss Wins Ironman 70.3 St. Polten with a New Course Record! 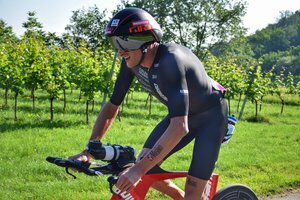 On Sunday 27th May 2018, SRM sponsored triathlete Michi Weiss won his home race at Ironman St. Polten, Austria in 3h51m36s, setting a new course record as well as posting the best bike and run splits of the day. This was Michi’s fourth podium spot in four 70.3 races this year. The fruits of a great winter training program are coming through in abundance. 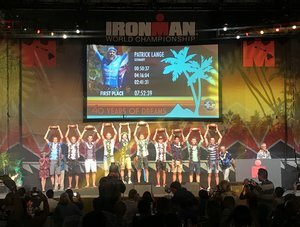 In this article I want to use the SRM power race data to show what is required to win an Ironman 70.3 pro race in which no less than 6 athletes break the 4hr barrier over a tough course. I also want to touch on the type of training we use with Michi (and our age-groupers) to underpin great race day performance – some of it may well surprise. Read on!